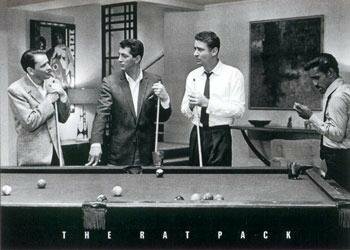 Frank Sinatra and the Rat Pack outside the Sands Casino in Las Vegas. 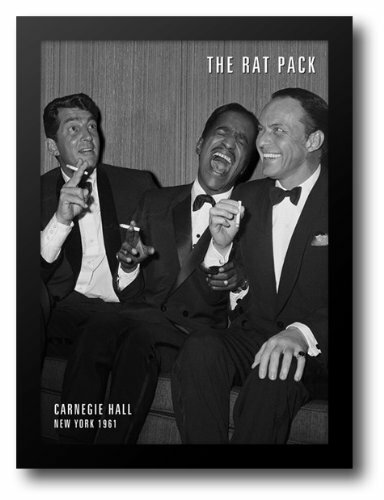 A quality aluminum framed poster with moulding by Neilsen Bainbridge. 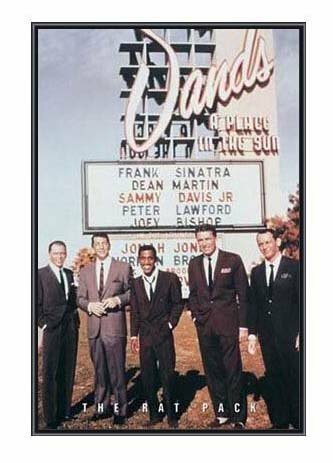 From left to right: Frank Sinatra, Dean Martin, Sammy Davis Jr, Lawford, Joey Bishop. 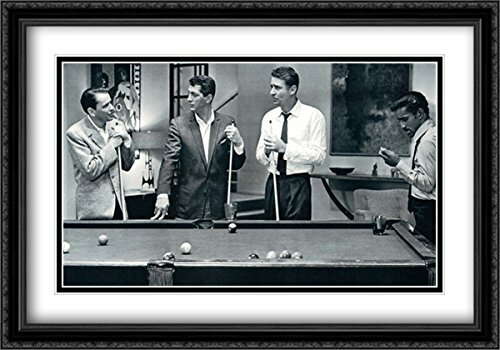 Measures 34 x 22 inches approx. 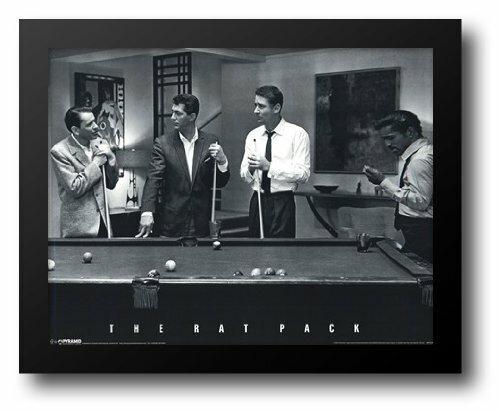 Designed to be appropriate for business or home (unbreakable finish). 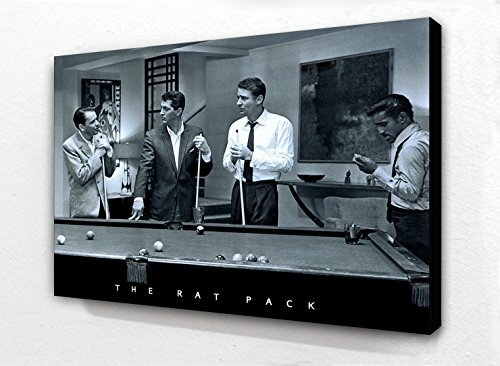 Especially popular decor for pool halls, bars, restaurants, home game rooms, etc. A great price! Sorry, continental US only, not available to Hawaii or Alaska. 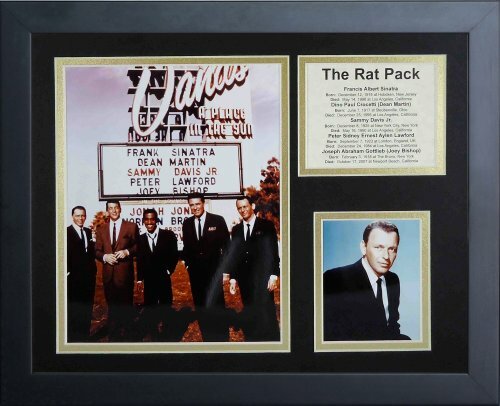 An 11 x 14 Framed Print Under Glass and Matted where shown. 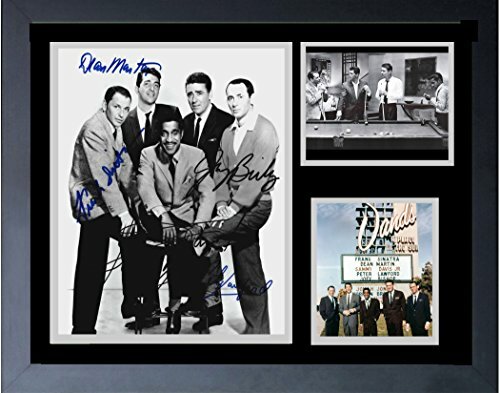 14 x 17 Is the overall size with the frame ready for hanging. 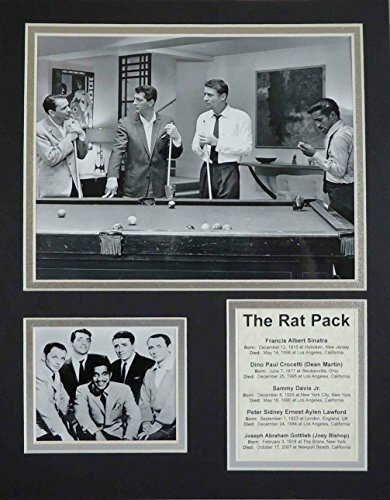 The Rat Pack - Pool 11" x 14" Unframed Matted Photo Collage by Legends Never Die, Inc.